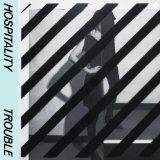 An archetypal indie band of the type you hear less and less these days, Hospitality’s second album is a masterful example of restraint, space and structure. Instrumentals, vividly detailed middle eights and trumpet solos are all given ample breathing space. Never too precise or self -indulgent, Amber Papini sounds like a fallen it-girl spending her days and nights on the phone smoking in coffee shops and crashing on other peoples’ sofa-beds. An album that reveals more with each listen, Hospitality are both old fashioned and forward-looking in their execution of guitar, drums and the occasional synth pop. SZA, Kelela and Kindness have all been responsible for building the momentum of the new slowed-down and sonically screwed with RnB genre that came out of the remains of classic Aaliyah and Brandy and Cassie’s massively influential and singular debut. 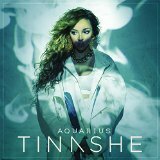 All commendable in the own right, none of these have yet mastered the all essential ingredient of delectable and persistent melodies like Tinashe has on her sublime debut album, the most consistent and important RnB album from a female vocalist in the last couple of years. Her own worst enemy at times, but maybe that makes more sense now “Broke with Expensive Taste” has finally arrived in one piece and in the way Banks wanted it to. ‘I try all the cultures’ she sings over the appropriately tight and popping “Soda” and indeed she does; soca, hip-house, trap, surf-rock, UK garage and very deep house music all feature. The link to all of these styles is Banks herself; her inability to compromise and her keen ear have ensured her debut is one of the best within the genre, whatever genre that may be. It’s hard not to mentally tick off the many influences that bubble up whilst listening to The Juan Maclean’s third album. Dance and club music is unavoidably indebted to its past, there are over five decades of a rich, diverse history to get lost in but McLean wisely avoids pastiche and nostalgia and creates his own nocturnal fantasy. With the essential Nancy Wang’s deadpan disco queen vocals dominating two thirds of the album, the duo have created their most successful and exciting collection to date. Not quite her masterpiece, so far that honour still falls upon 2011’s ground-breaking “Strange Mercy”. Annie Clarke’s first self-titled album is, following eleven months of getting-to-know-you time, probably her most strange and artful release so far. The original conceit is that it was going to be her most accessible and ‘pop’ album to date and yes, one of the songs does sound like a classic Madonna ballad. But tracks that start off as off-colour, other-worldly RnB end up somewhere completely unrelated, bruised and bashed 3 minutes later -- and it works beautifully. 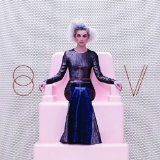 A genuine superstar, St Vincent’s ‘St Vincent’ is one of the year’s brightest and most brutal releases.